AN ARTICLE FOR A HORSE-MATCH. (a) If the Lord Lieutenant be out of the kingdom, the signa­ture of the person regularly deputed by him is admitted. 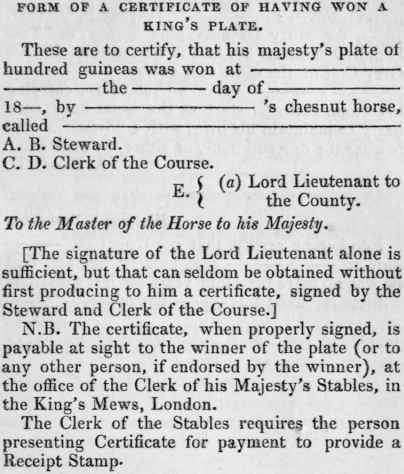 The certificate for the Ascot-Heath plate must be signed by the Master of his Majesty's Hounds, instead of the Lord Lieu­tenant.